A former Department of Defense (DoD) supervisory contracting officer pleaded guilty last week to charges that he accepted bribes from the owner of the foreign defense contractor at the center of a massive bribery and fraud scandal. Paul Simpkins, 61, of Haymarket, Virginia, was a senior DoD contracting official who supervised contracting officers responsible for awarding and administering U.S. Navy contracts. Sentencing is set for Sept. 9, 2016. According to admissions made in connection with his plea, from approximately May 2006 until September 2012, Leonard Glenn Francis a/k/a “Fat Leonard,” owner of Singapore-based Glenn Defense Marine Asia (GDMA), provided cash, travel expenses and the services of prostitutes in return for Simpkins’s efforts to steer contracts to GDMA and intervene on GDMA’s behalf in contracting disputes with the U.S. Navy. Simpkins admitted that during the years-long scheme, Francis provided him with hundreds of thousands of dollars through wire transfers to a bank account in Japan controlled by Simpkins’s former wife. After Francis transferred the funds to Simpkins’s wife’s account, Simpkins caused payments to be remitted to a U.S. bank account held in his own name. Used his influence within the U.S. Navy to benefit GDMA, specifically that he extended GDMA’s contract after a subordinate recommended the contract not be extended due to high costs. Instructed U.S. Navy officials in Hong Kong to discontinue using meters that ensured proper accounting of the amount of waste that GDMA removed from U.S. Navy ships to ensure that no overbilling occurred. Instructed a U.S. Navy official to ignore invoices that GDMA submitted after Francis complained that U.S. Navy personnel were asking questions. Including Simpkins, 14 individuals have been charged in connection with this scheme; of those, 11 have pleaded guilty, including Rear Admiral Robert Gilbeau, Captain (Select) Michael Misiewicz, Captain Daniel Dusek, Lieutenant Commander Todd Malaki, NCIS Special Agent John Beliveau, Commander Jose Luis Sanchez and Petty Officer First Class Dan Layug. On March 18, 2016, Alex Wisidagama, a former GDMA employee, was sentenced to 63 months in prison and to pay $34.8 million in restitution to the Navy. On April 29, 2016, Misiewicz was sentenced to 78 months in prison and to pay a fine of $100,000 and to forfeit $95,000 in proceeds for the scheme. Francis and Ed Aruffo, a former GDMA employee, as well as GDMA, the corporate entity, have pleaded guilty and await sentencing. Retired Captain Michael Brooks, Commander Bobby Pitts and Lieutenant Commander Gentry Debord were charged by a federal grand jury on May 25, 2016, and their cases remain pending. The ongoing investigation is being conducted by NCIS, DCIS and DCAA. Three current and former Navy officers have been charged for their roles in a massive bribery and fraud scheme involving a Navy contractor. Retired Navy Captain Michael Brooks, 57, of Fairfax Station, Virginia; Commander Bobby Pitts, 47, of Chesapeake, Virginia; and Lieutenant Commander Gentry Debord, 47, who is based in Singapore, were charged on May 25, 2016, in the Southern District of California. Brooks and Debord were each charged with one count of conspiracy to commit bribery. Pitts was charged with one count of conspiracy to defraud the United States and two counts of obstruction of justice. All of the charges relate to the defendants’ interactions with Leonard Francis, the former CEO of Glenn Defense Marine Asia (GDMA), a defense contracting firm based in Singapore. Brooks and Pitts made their initial appearances on May 27, 2016 in the U.S. District Court for the Eastern District of Virginia. Debord appeared in U.S. District Court for the Southern District of California. Brooks was allowed to post a $50,000 bond. Pitts was granted a $5,000 bond, ordered to be subject to electronic monitoring and to appear in the Southern District of California on June 10. Debord was granted a $40,000 bond secured by real property. Debord is scheduled to appear for a preliminary hearing before U.S. Magistrate Judge David Bartick of the Southern District of California on June 9, 2016. Enabling GDMA to avoid inspection of any quantity or type of cargo that it transported. The indictment also alleges that Brooks provided Francis with sensitive Navy information, including billing information belonging to a GDMA competitor and Navy ship schedules. 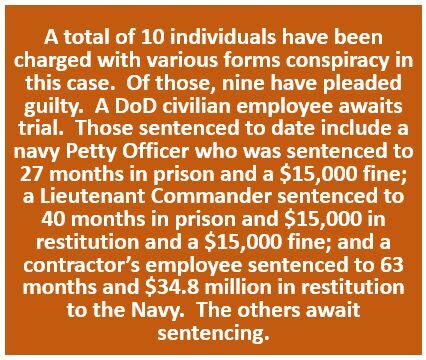 According to the indictment, from August 2009 to May 2011, Pitts was the Officer in Charge of the Navy’s Fleet Industrial Supply Command (FISC), which was charged with meeting the logistical needs of the U.S. Navy’s Seventh Fleet. The indictment alleges that in exchange for entertainment, meals and the services of a prostitute, Pitts used his position with FISC to interfere with Naval Criminal Investigative Service (NCIS) investigations into GDMA. Pitts allegedly provided Francis with a hard copy of an NCIS report detailing an investigation into GDMA for contract fraud marked “for official use only.” According to the indictment, the report detailed NCIS’ investigative steps and witnesses that NCIS had interviewed. The indictment further alleges that in November 2010, Pitts forwarded to a GDMA employee an internal Navy email discussing details of FISC’s efforts to oversee GDMA’s contracts with the U.S. Navy. According to the criminal complaint, from November 2007 to August 2013, Debord served in several logistical and supply positions in the Western Pacific. In exchange for cash, hotel stays and the services of prostitutes, Debord allegedly provided Francis with inside Navy information and documents, including information about competitors’ bids and information about an investigation into GDMA billing practices. In an attempt to conceal the true nature of his relationship with Francis, Debord allegedly referred to prostitutes as “cheesecake” or “bodyguards.” The complaint also alleges that Debord schemed with Francis to defraud the Navy through the submission and approval of inflated invoices. Nine have pleaded guilty, including U.S. Navy Captain (Select) Michael Misiewicz, U.S. Navy Capt. Daniel Dusek, Lieutenant Commander Todd Malaki, NCIS Special Agent John Beliveau, Commander Jose Luis Sanchez, and U.S. Navy Petty Officer First Class Dan Layug. Former Department of Defense Senior Executive Paul Simpkins awaits trial. On Jan. 29, 2016, Malaki was sentenced to 40 months in prison and ordered to pay $15,000 in restitution to the Navy and a $15,000 fine. On March 18, 2016, Alex Wisidagama, a former GDMA employee, was sentenced to 63 months and to pay $34.8 million in restitution to the Navy. 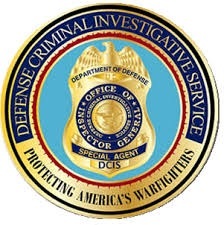 The NCIS, the Department of Defense’s Defense Criminal Investigative Service (DCIS) and the Defense Contract Audit Agency (DCAA) are conducting the ongoing investigation. 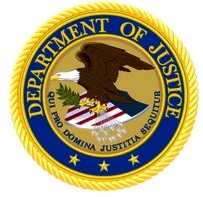 Assistant Chief Brian R. Young of the Department of Justice Criminal Division’s Fraud Section and Assistant U.S. Attorney Mark W. Pletcher of the Southern District of California are prosecuting the case. The highest-ranking official charged so far in a massive Navy bribery scandal was sentenced in federal court on March 25, 2016 to 46 months in prison for giving classified information to a foreign defense contractor in exchange for prostitutes, luxury travel and other gifts. U.S. Navy Capt. Daniel Dusek was sentenced by U.S. District Judge Janis L. Sammartino of the Southern District of California, who also ordered Dusek to pay a $70,000 fine and $30,000 in restitution to the Navy. He was ordered to report to the U.S. Bureau of Prisons on June 15, 2016. Dusek, 49, pleaded guilty in January 2015 to a single count of conspiracy to commit bribery. Dusek admitted that he used his influence as Deputy Director of Operations for the Seventh Fleet, headquartered in Yokosuka, Japan, and later as executive officer of the USS Essex and the commanding officer of the USS Bonhomme Richard, to benefit Leonard Glenn Francis and his company, Glenn Defense Marine Asia (GDMA). For decades, GDMA provided port services to U.S. Navy ships and in return, Francis plied Dusek with meals, alcohol, entertainment, gifts, dozens of nights and incidentals at luxury hotels and the services of prostitutes, Dusek admitted. “Captain Dusek put greed and personal pleasure above the safety of his shipmates and, in doing so, violated his sworn oath as a naval officer,” said Andrew Traver, Director of the Naval Criminal Investigative Service (NCIS) . According to Dusek’s plea agreement, he hand-delivered Navy ship schedules to the GDMA office in Japan or emailed them directly to Francis or a GDMA employee on dozens of occasions, each time taking steps to avoid detection by law enforcement or U.S. Navy personnel. Dusek was lavishly rewarded for his efforts to help GDMA. For example, according to the plea agreement, GDMA paid for a hotel for Dusek and his family at the Marriott Waikiki in Hawaii on July 19, 2010, and on Aug. 5, 2010, GDMA paid for a hotel room for Dusek at the Shangri-La in Makati, Philippines, and provided him with the services of a prostitute. Soon after, Francis asked Dusek to exercise his influence on GDMA’s behalf by steering the aircraft carrier USS Abraham Lincoln and its associated strike group to Port Klang, Malaysia (PKCC) – a port terminal owned by Francis. Dusek replied in a series of emails to GDMA in late August 2010 that he would make it happen. “Good discussion with N00 (Admiral) today and convince him that PKCC is the better choice,” Dusek wrote to Francis on Aug. 21, 2010. Three days later, Dusek reported to Francis that he had “everyone in agreement that the next CSG (Carrier Strike Group) through the AOR (area of responsibility) will stop at PKCC. Dates will be 08-12 Oct.” The port visit cost the United States approximately $1.6 million. On Sept. 17, 2013, when Dusek learned that Francis and Navy personnel had been arrested, he deleted the contents of his email accounts in an effort to avoid detection by law enforcement. To date, 10 individuals have been charged in connection with this scheme; of those, nine have pleaded guilty, including Dusek, Lieutenant Commander Todd Malaki, Commander Michael Vannak Khem Misiewicz, NCIS Special Agent John Beliveau, Commander Jose Luis Sanchez and U.S. Navy Petty Officer First Class Dan Layug. Former DoD civilian employee Paul Simpkins awaits trial. On Jan. 21, 2016, Layug was sentenced to 27 months in prison and a $15,000 fine; on Jan. 29, 2016, Malaki was sentenced to 40 months in prison and to pay $15,000 in restitution to the Navy and a $15,000 fine; and on March 18, 2016, Alex Wisidagama, a former GDMA employee, was sentenced to 63 months and $34.8 million in restitution to the Navy; the others await sentencing. 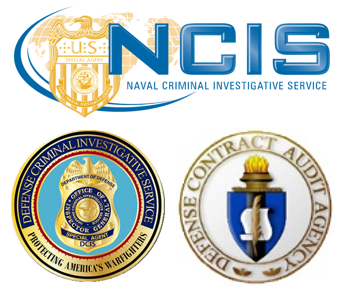 The ongoing investigation is being conducted by NCIS, DCIS and the Defense Contract Audit Agency. The U.S. Navy is being rocked by a bribery scandal that federal investigators say has reached high into the officer corps and exposed a massive overbilling scheme run by an Asian defense contractor that provided prostitutes and other kickbacks. Among those arrested on corruption charges are a senior agent for the Naval Criminal Investigative Service and a Navy commander who escaped Cambodia’s “killing fields” as a child only to make a triumphant return to the country decades later as the skipper of a U.S. destroyer. The investigation has also ensnared a Navy captain who was relieved of his ship’s command this month in Japan. The chief executive of the Singapore-based defense contractor, Glenn Defense Marine Asia, and another company official were arrested last month at a San Diego harborside hotel after federal investigators lured them to the United States by arranging a sham meeting with Navy officials, according to court records and people involved in the case. The unfolding investigation is shaping up as the biggest fraud case in years for the Navy. Federal prosecutors allege that Glenn Defense Marine, which has serviced and supplied Navy ships and submarines at ports around the Pacific for a quarter-century, routinely overbilled for everything from tugboats to fuel to sewage disposal.